Looking like a prop from a Tim Burton film, the little structure lives up to its name: Beetle’s House. It stands on four slightly off-kilter legs presenting its charred pine wood exterior, like the protective shell of an insect, and seems as if it could get up and walk away at any moment. 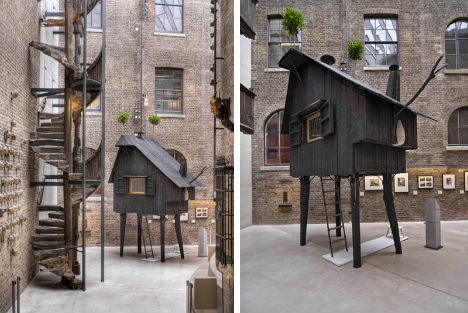 Artist Terunobu Fujimori created the tiny building for the Victoria and Albert Museum as part of the exhibition “1:1 Architects Build Small Spaces”. 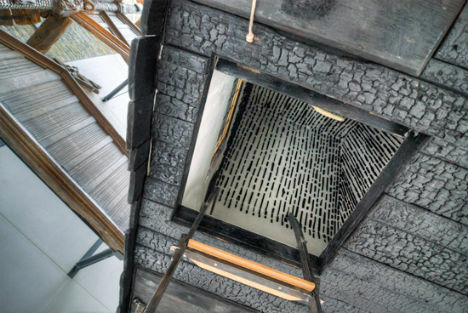 Fujimori, who didn’t even begin designing buildings until the age of 44, explains that burning the outer layers of the wood makes it naturally waterproof and pest-proof. 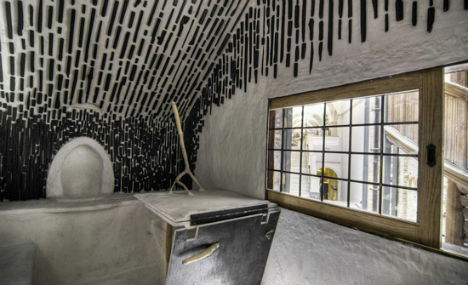 The whimsical interior of the tea house features minimal furnishings and artistically arranged pieces of charred wood on the walls and ceiling. Fujimori designed another very similar treehouse in Japan, featured in the video below. 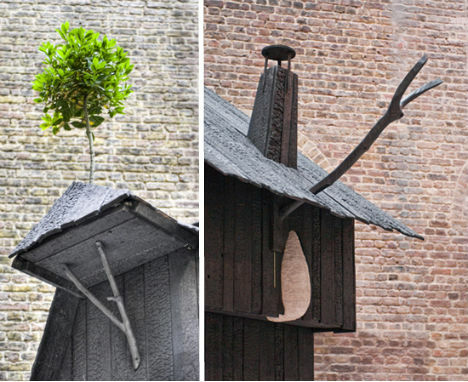 Terunobu Fujimori, Tokyo, Japan – Beetle’s House from Victoria and Albert Museum on Vimeo.